It used to be that a cold sore was no more than a painful and slightly embarrassing blemish that might sprout one on your lips or inside your nose when you get sick, or are under stress. After about a week of discomfort, it’s gone. Well, kind of. At least, until you get sick or stressed again. Then, it often comes back. That’s because cold sores are caused by HSV1 – one of the 8 forms of herpes virus. And a well-known characteristic of all the viruses in the herpes family is that it goes dormant, but lives on in the body. In an interesting twist, researchers are making a connection between Alzheimer’s and HSV1. Which means that keeping cold sores at bay could save you from a lot more than embarrassment down the road. Of all the things there are to fear about aging, Alzheimer’s is pretty high on the list for most of us. And for years, there was little promising news about the cause… or the cure. This connection with HSV1 is significant. And there are other emerging pieces of the puzzle as well. A puzzle you need to understand so you can take steps to protect yourself. 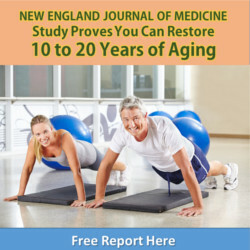 Research suggests that low levels of HGH could trigger many of the signs we associate with aging. The very best way to boost your natural HGH levels is by taking natural HGH releasers. These nutrients include specific vitamins, antioxidants and amino-acids that activate the pituitary gland to support production of HGH naturally. They're taken before bedtime, because they help you gently to sleep and because sleep is when growth hormone is primarily secreted. Click here for your golden opportunity to enjoy a fuller, more active life. A life where you can look at yourself in the mirror and smile, restore passionate performance, and make your joints and muscles feel flexible and years younger! There’s a signature plaque that spreads throughout an Alzheimer’s brain as the disease progresses – it’s called beta amyloid. Researchers first assumed this plaque was causing the disease, and set out to eliminate it. That approach backfired. In fact, in 2010, pharmaceutical company Eli Lilly had a giant failure with an experimental drug that was successful in both killing the plaque… and making patients deteriorate much more rapidly. Turns out the plaque is a protein trying to protect the brain from an infectious agent – such as a bacteria or virus. Which is why killing it exacerbates the condition, rather than improving it. This led researchers to speculate there may be a viral cause at work. And in 2008, a landmark study found HSV1 DNA present in the beta amyloid plaque. So the same HSV1 that causes the common cold sore was found in beta amyloid plaque in the brain. And not to be flip, but the brain is definitely a bad place for an outbreak. Unfortunately, it’s not at all unprecedented for a herpes virus to haunt its host in this manner. Consider chicken pox – also known as varicella. If this virus reactivates later in life, it’s in the form of the much-worse shingles. And because this virus lives in the nervous system, it’s free to roam along your nerve pathways, until the right environment comes along for it to flourish again. Of course, the next step as far as conventional medicine is concerned is to find a pharmaceutical answer. Current anti-viral medication – such as acyclovir, which is already used to reduce the severity and frequency of both HSV1 and HSV2 outbreaks (also known as genital herpes) – is top on the list. You see, there are two amino acids that have a symbiotic relationship with the herpes virus: lysine and arginine. Lysine has been shown to be helpful in reducing outbreaks of HSV1 in particular, while arginine can promote the growth of the herpes virus and prompt outbreaks. The body makes neither of these, so you can only get them through diet and supplementation. Foods high in lysine include fish, chicken, beef, lamb, milk, cheese, beans, brewer’s yeast, mung bean sprouts, and fruits and vegetables. Foods with high arginine content include chocolate, carob, coconut, oats, wheat flour and wheat germ, peanuts and soybeans. Now, just because you’ve never gotten a cold sore, doesn’t mean you don’t have HSV1. The best way to find out for sure is to request a blood test from your doctor. If you do have HSV1, I recommend taking 1500mg of lysine a day. I also recommend following a Mediterranean diet, which is naturally high in lysine and low in arginine. So you may ask is arginine bad for you? It is not! As long as your diet (or supplements) balance it with lysine. I take an orange-flavored arginine/magnesium powder drink almost daily to help keep my blood pressure under control and have never had any sort of herpetic outbreak. Why? Well part of my daily supplementation is 1000-1500 mgm. of lysine depending on how mindful I’m eating that day. Remember, it’s all about balance. More research is needed to confirm the findings on amyloid plaque and HSV1. Additionally more tests are needed on the effectiveness of lysine supplementation. But the early data is very convincing so far. And since lysine doesn’t have any negative side effects, and the Mediterranean diet is recommended for other health reasons anyway, I recommend you start this preventative routine ASAP. Of course, this is just one piece of a rather complicated puzzle. A genetic component of the disease has also been identified. And your immune system plays a role as well. Along with a few other contributing factors, such as stress, inflammation and even diet and exercise. In the next two issues of Advanced Natural Wellness, we’ll look at the entire list of possible Alzheimer’s culprits, along with my recommendations for protecting yourself, even while we wait for science to further solve what is one of our most frustrating – and threatening – health conditions of our generation. Robert N Rubey, Could lysine supplementation prevent Alzheimer’s dementia? A novel hypothesis, Neuropsychiatr Dis Treat. 2010; 6: 707–710. This entry was posted in Alzheimer's Disease and tagged alzheimer's and herpes, dementia, supplements on April 20, 2012 by Advanced Natural Wellness. We tried intravenous vitamin C plus minerals & B vitamins to treat chronic fatigue syndrome, plus HIV, in a clinic where I worked as a therapist. Has this been tried in cases of herpes viruses?